Another 365 Days of Color for you today. This was in my Mystery Bag. 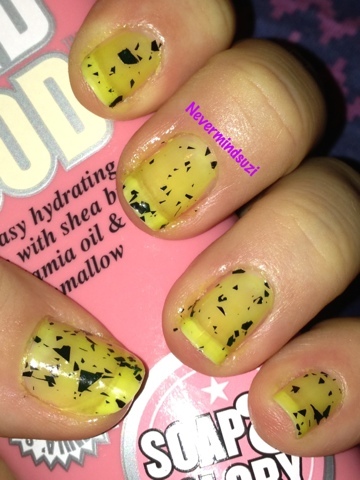 Deadly attraction is a lime green sheer jelly with dark green flakies. I thought it might go opaque in a few coats, unfortunately not but it'll look fab over another colour (suggestions please). It still looks pretty cool! 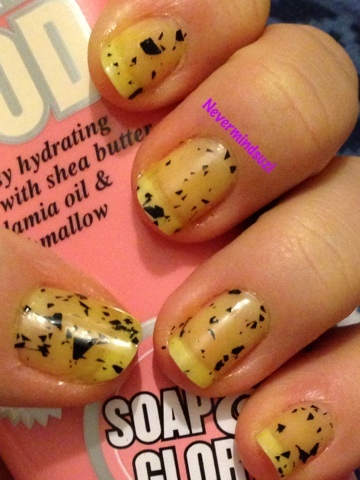 I think this would look fab over a neon green or even an apple shade... What about China Glaze Def Defying?